Mohit Kaushal, Director, CitiusTech Walk into any healthcare center today, and there's a good chance that digital solutions and devices have found ground in every nook and corner. Rows of filing cabinets are replaced by a cloud database, medical devices are free from cables and cords and offer advanced monitoring and imaging capabilities, and mobile connectivity, powered by the Internet of Medical Things (IoMt) has triumphed over long office waits. With the U.S. spending 18 percent of its GDP on healthcare each year, an analysis by Goldman Sachs states that digital revolution can save $300 billion in spending in the healthcare sector. However, while healthcare providers are investing in advanced tools to improve care delivery, a significant challenge lies in successfully integrating emerging technologies with enterprise healthcare applications. 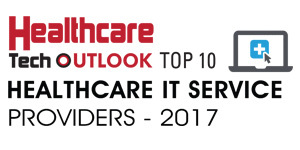 In such a scenario, with a deep healthcare understanding combined with technical excellence, CitiusTech offers a unique combination of healthcare services and platforms that enable physician practices and integrated delivery networks (IDNs) to improve software development, healthcare interoperability, regulatory compliance, and care coordination. To radically improve patient outcomes, the company also partners with research groups and technology stalwarts such as IBM and Microsoft to design and develop enterprise solutions around cloud, mobile, and business intelligence (BI). Founded in 2005, today CitiusTech not only has an expansive footprint that fans out through Europe, the Middle East, and Singapore but its solutions have touched over 30 million lives globally. Uplifting the digital transformation journey for providers, payers, and life sciences organizations, CitiusTech offers a host of solutions that facilitate seamless performance management, data integration, and mobile engagement. From application development and implementation to quality analysis testing, CitiusTech takes full charge of the entire product lifecycle. For powerful BI, the company offers BI-Clinical, a modular healthcare analytics platform, with over 600 key performance indicators (KPIs) around clinical, financial, operational and regulatory requirements. The solution is not only flexible, configurable, and scalable but can easily measure and act on the data distributed across an organization. Moreover, to store and process large healthcare datasets, CitiusTech's big data platform, H-Scale delivers complete data security and analytics, while using a Hadoop-based ecosystem that is compatible with Hortonworks and Cloudera. For utmost data management, organizations can integrate H-Scale with their existing healthcare apps to rapidly build on existing big data solutions. Since mobile health (mHealth) is currently pushing the limits in technology innovation, CitiusTech’s M-verge is a mobile health platform that enables organizations to design, develop, and roll-out mobile solutions across iOS and Android devices. As per reports by MarketsandMarkets, a research company, mHealth is expected to grow by 33 percent to $60 billion by 2020. In such times, M-Verge is truly a futuristic solution as it can be customized to enable mobile-driven use cases such as clinical alerts, physician-patient collaboration, and payment reminders. In an instance, a leading provider of diagnostics services that serves nearly 200,000 customers was facing challenges in population health management and was on the lookout for a comprehensive analytics platform for integrated clinical, financial, and regulatory reporting needs. CitiusTech's BI-Clinical implementation team conducted a detailed analysis of the client's IT environment and developed a unique patient identification process to enhance patient matching. The services included a cloud-based deployment and data integration using HL7 and X12 feed, along with data quality improvement, through the configuration of metadata for reconciliation. With the BI-Clinical platform, the client was not only able to deliver actionable intelligence that helped fill gaps-in-care reporting but also created a unified experience for end-users. Apart from healthcare providers, CitiusTech brings vital domain focus, skilled professionals, and proven solutions expertise to help medical technology companies stay up to date with diverse market needs. With CitiusTech's services KeystoneHIE, a major provider of health information exchange solutions launched an intelligent 'push' technology to deliver real-time, critical information for participating doctors and caregivers. In addition, with Keystone's new information delivery service, physicians can decide the quantity of information they wish to receive that are related to admission, discharge, or lab results. Encompassing all areas of healthcare, Citiustech even provides a unique set of services that accelerate innovation in health plans. With the company's cutting-edge tools, insurance providers can standardize, compare, and enhance quality scores across regulatory areas like HEDIS and CMS STAR. Never losing sight of innovation, CitiusTech is always adding high-quality products and automation into its existing suite. The company recently launched the industry's first rules management module (RMM), that empowers quality and performance management professionals or health plan companies to configure easily, audit, and operationalize quality measures, cohorts, and other rules through a do-it-yourself interface. RMM not only allows users to save over 30 percent of the time and cost in configuring complex measures but also improves efficiency by 60 percent. To build long-term relationships with clients, the company also focuses on providing an array of technology consulting support across product management, compliance, data monetization, and IoT. With a team of expert consultants, CitiusTech brings deep insights into all areas of next-gen clinical competency. "From application development and implementation to quality analysis testing, CitiusTech takes full charge of the entire product lifecycle"
In the days to come, the company is looking at further expanding through global acquisitions in its next phase of growth. Instead of a one-size-fits-all approach, today the company is growing by leaps and bounds because of its unique direction in IT implementation where solutions are designed according to a client's requirement. CitiusTech’s keen eye for emerging technology trends and shift from volume to value-based care positions them at the forefront of redefined healthcare workflows. With innovation-led solutions that empower both patient and providers, CitiusTech is a revolutionary game changer in healthcare technology today as well as in the future.